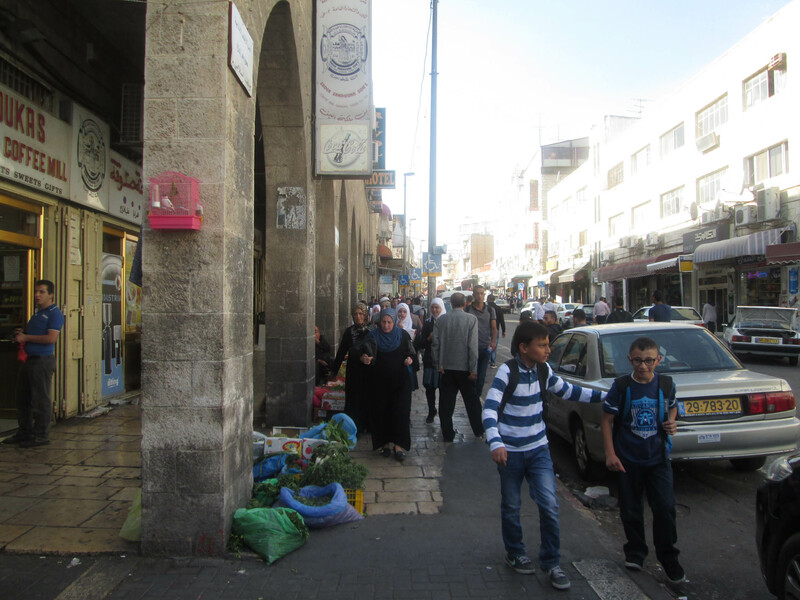 Saturday morning we left Yatta and headed to Bethlehem for a meeting about our placement priorities. Then on to Jerusalem to meet up with the other teams at the Capitol Hotel. 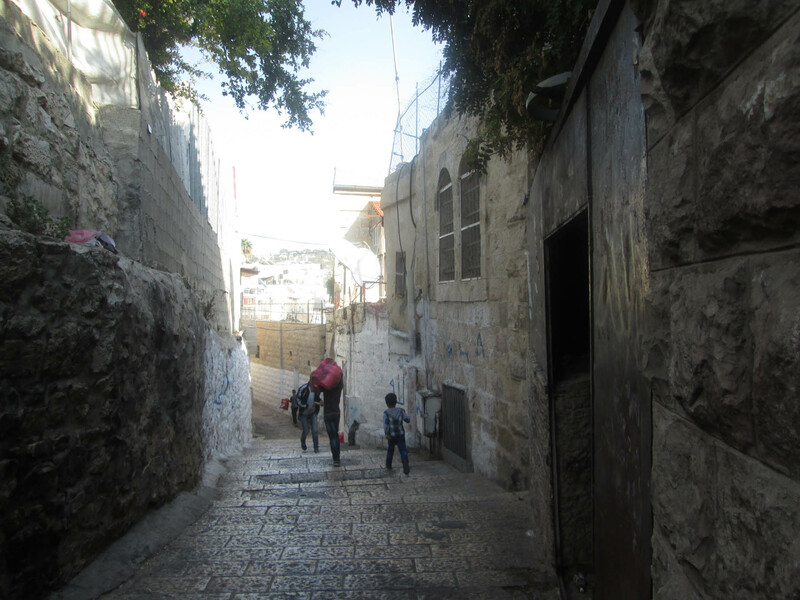 My team skipped the dinner at the Hotel opting for going to the Jerusalem Hotel to have drinks with our supper. We relaxed and found out more about each other. Some men and women were smoking a water pipe. On Sunday morning, we had a speaker, Hanna Barag, from Machsom Watch (women against the Occupation and for Human Rights). Very informative and interesting. 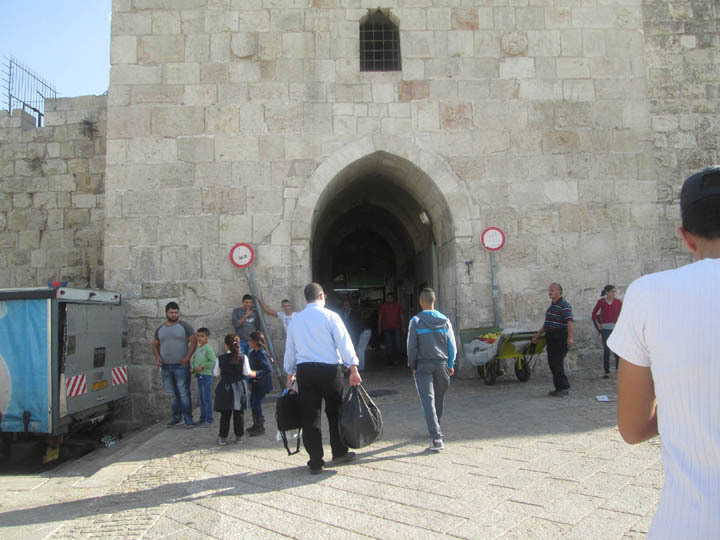 She is at checkpoints to help Palestinians who are denied passage and advocate for them. Her group also tries to get demolition orders reversed. She talked about the agricultural gates – how farmers need to start early before it gets hot but the soldiers just take their time and the gates are not opened early. Soldiers are teenagers and are interested only in sleeping in. Please see an interview with Hanna at https://www.youtube.com/watch?v=nxyoVH3Tvzs . I will not bore you with other sessions we had. Some had to do with Team building, logs and reporting, advocacy work, etc. 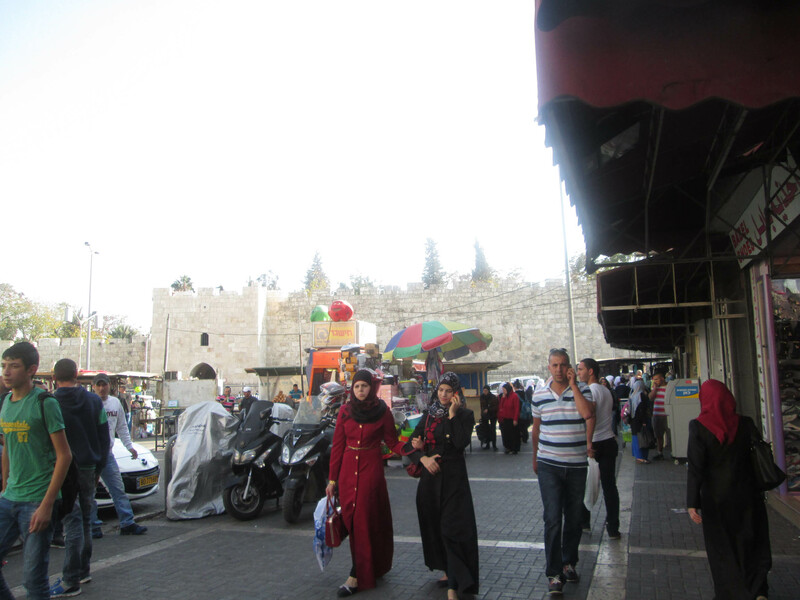 Our team did find some time to go to the old city and the markets. Went into the Church of the Holy Sepulchre and saw the stone believed to be where the body of Jesus laid. People were rubbing it and were quite emotional. Also where Jesus was crucified. Then walked on the Via Del Rosa and past the prison. Today the teams went to the Holocaust museum (Yad Vashem). I opted out the tour however and went for a long walk. I did listen in on a discussion of the tour this evening. Posted on October 27, 2014, in October and tagged Hanna Barag. Bookmark the permalink. 2 Comments. Looking forward to reading more updates. Stay safe! Keep writing to us! Be good!